Hannah G. (?) married Jerrold Lambert Johnson, son of Gustave Meir Johnson and Sophia Margaret Jamtgaard. Name Variation Sophia Amalia Nelson was also known as Sopha Emela. Sophia Amalia Nelson was born circa 1878 at Iowa. Betsie Carolina Nelson was born circa 1868 at Iowa. Married Name circa 1890 As of circa 1890,her married name was Rusten. Mary Louisa Nelson was born in March 1870 at Iowa. Mary Louisa Nelson married Mathias Rusten, son of Karl Rusten and Kari Endreson, circa 1890. Mary Louisa Nelson had 4 with 4 living in 1900 children. She had 8 with 6 living in 1910 children. [S245] U.S. Federal Census 1900 U.S. Federal Census, by Ancestry.com, Year: 1900; Census Place: Fairview, Campbell, South Dakota; Roll T623_1547; Page: 2A; Enumeration District: 375. [S244] U.S. Federal Census 1910 U.S. Federal Census, by Ancestry.com, Year: 1910; Census Place: Norway, Roberts, South Dakota; Roll T624_1487; Page: 6A; Enumeration District: 368; Image: 762. Nettie Clara Nelson was born circa 1876 at Iowa. Arnold Peterson was born circa 1921 at Washington. He was the son of Peter J. Peterson and Ingrid Christophersdotter Ronnei. Name Variation Samuel Hermanson was also known as Sam. Samuel Hermanson was born on 22 September 1874 at Iceland also reported as Denmark. He was the son of Christian Hermanson and Margaret (?). Samuel Hermanson married Frida (?) circa 1898. Samuel Hermanson died after January 1920. Samuel Hermanson immigrated in 1878 to Canada. He and Frida (?) immigrated in 1901 to Washington. On 12 September 1918 at World War I Draft Registration, Okanogan, Washington. [S244] U.S. Federal Census 1910 U.S. Federal Census, by Ancestry.com, ED230. Dwelling 163. [S243] U.S. Federal Census 1920 U.S. Federal Census, by Ancestry.com, ED99. Dwelling 36. Name Variation Frida (?) was also known as Fradae (?). Name Variation Frida (?) was also known as Freda (?). Married Name circa 1898 As of circa 1898,her married name was Hermanson. Frida (?) was born circa 1874 at Iceland also reported as Denmark. She married Samuel Hermanson, son of Christian Hermanson and Margaret (? ), circa 1898. Frida (?) immigrated in 1884. She and Samuel Hermanson immigrated in 1901 to Washington. Frida (?) had 5 with 4 living in 1910 children. Married Name circa 1923 As of circa 1923,her married name was Christianson. Helga Hermanson was born circa 1900 at Canada. She was the daughter of Samuel Hermanson and Frida (?). Helga Hermanson married Sigurd H. Christianson circa 1923. Helga Hermanson immigrated with Samuel Hermanson and Frida (?) in 1901 at Washington. [S250] U.S. Federal Census 1930 U.S. Federal Census, by Ancestry.com, ED10. Dwelling 94. Lillian Hermanson was born circa 1901 at Canada. Lillian Hermanson immigrated with Samuel Hermanson and Frida (?) in 1901 at Washington. Name Variation Marvell Hermanson was also known as Marvie. Name Variation Marvell Hermanson was also known as Marwell. Name Variation Marvell Hermanson was also known as Marvel. Marvell Hermanson was born circa 1908 at Washington. Christian Hermanson was born circa 1850 at Denmark. He married Margaret (?) circa 1874. Christian Hermanson died after April 1910. Christian Hermanson and Margaret (?) immigrated in 1889. Married Name circa 1874 As of circa 1874,her married name was Hermanson. Margaret (?) was born circa 1838 at Denmark. She married Christian Hermanson circa 1874. Margaret (?) died after April 1910. Margaret (?) and Christian Hermanson immigrated in 1889. Margaret (?) had 5 with 2 living in 1910 children. Paul Hermanson was born on 28 June 1910 at Washington. He was the son of Samuel Hermanson and Frida (?). Paul Hermanson died on 31 July 1967 at Seattle, Washington, at age 57. Paul Hermanson obtained US Social Security Card at Washington; last residence not specified. Name Variation Sigurd H. Christianson was also known as Segurd. Sigurd H. Christianson was born circa 1890 at Iceland. He married Helga Hermanson, daughter of Samuel Hermanson and Frida (? ), circa 1923. Sigurd H. Christianson immigrated in 1914. Herman C. Christianson was born on 3 December 1923 at Washington. He was the son of Sigurd H. Christianson and Helga Hermanson. Herman C. Christianson died on 18 September 1998 at age 74. Miss you more every year. Leigh June. Herman C. Christianson obtained US Social Security Card at Washington; last residence Sumner, Pierce, Washington. Lillian C. Christianson was born circa 1925 at Washington. She was the daughter of Sigurd H. Christianson and Helga Hermanson. Lillian C. Christianson died before 2007. Robert J. Christianson was born on 16 August 1926. Robert J. Christianson died on 21 July 2000 at age 73. Robert J. Christianson obtained US Social Security Card at Washington; last residence Seattle, King, Washington. On 1 December 1944 at King, Washington, Name: Robert J Christianson Birth Year: 1926 Race: White, citizen (White) Nativity State or Country: Washington State: Washington County or City: King Enlistment Date: 1 Dec 1944 Enlistment State: Washington Enlistment City: Fort Lewis Branch: No branch assignment Branch Code: No branch assignment Grade: Private Grade Code: Private Term of Enlistment: Enlistment for the duration of the War or other emergency, plus six months, subject to the discretion of the President or otherwise according to law Component: Selectees (Enlisted Men) Source: Civil Life Education: 4 years of high school Civil Occupation: Electrician, Automotive* (Automotive electrician. ) or Automobile Mechanic* or Automobile Body Repairman* or Motorcycle Mechanic* or Automobile Radiator Man* (Radiator repairman.) or Tractor Mechanic or Motor Inspector An asterisk (*) appearing after a jo Marital Status: Single, without dependents Height: 88 Weight: 666. Ola Johnson Romundstad was born on 31 August 1846 at Norway. He married Marit Pedersdater Mogstad, daughter of Peter Erickson and Brynhild Knutsdotter, on 16 June 1876. Ola Johnson Romundstad died in 1932. His parents were not married. Father Ola Johnson Halti, mother Kari Olsd. Mokkelgard. Of Tjorhjellen in Sogge. Name Variation Christian Olsen Sogge was also known as Christian. Name Variation Christian Olsen Sogge was also known as Chris. Name Variation Christian Olsen Sogge was also known as Christ. Christian Olsen Sogge was born on 6 May 1888 at Norway. He was the son of Ola Johnson Romundstad and Marit Pedersdater Mogstad. Christian Olsen Sogge married Alice Mary Rames on 26 June 1918 at Hutchinson, South Dakota. Christian Olsen Sogge died on 22 June 1971 at Los Angeles, California, at age 83. Christian Olsen Sogge obtained US Social Security Card at South Dakota; last residence Long Beach, Los Angeles, California. He immigrated in 1899 also reported as 1898 and 1900. On 5 June 1917 at World War I Draft Registration, Audubon, Iowa. [S244] U.S. Federal Census 1910 U.S. Federal Census, by Ancestry.com, Year: 1910; Census Place: Mayfield, Yankton, South Dakota; Roll: T624_1489; Page: 4B; Enumeration District: 450; Image: 1025. [S243] U.S. Federal Census 1920 U.S. Federal Census, by Ancestry.com, Year: 1920;Census Place: Menno, Hutchinson, South Dakota; Roll: T625_1720; Page: 5A; Enumeration District: 103; Image: 933. [S250] U.S. Federal Census 1930 U.S. Federal Census, by Ancestry.com, Year: 1930; Census Place: Wittenberg, Hutchinson, South Dakota; Roll: 2225; Page: 1B; Enumeration District: 27; Image: 294.0. Name Variation Ella Sogge was also known as Allie. Name Variation Ella Sogge was also known as Eli. Name Variation Ella Sogge was also known as Alla. Married Name 20 June 1914 As of 20 June 1914,her married name was Imig. Ella Sogge was born on 31 January 1893 at Norway also reported as 31 Jan 1893. She was the daughter of Ola Johnson Romundstad and Marit Pedersdater Mogstad. Ella Sogge married Louis Henry Imig on 20 June 1914 at Hutchinson, South Dakota. Ella Sogge died in July 1969 at Yankton, South Dakota, at age 76. 1905 Woodbury, Iowa Ella Sogge appeared on the census of 1905 in the household of Marit Pedersdater Mogstad at Woodbury, Iowa; listed as widowed. Ella Sogge immigrated in 1900. She was confirmed in 1908 at Elim Lutheran Church, Irene, South Dakota. [S244] U.S. Federal Census 1910 U.S. Federal Census, by Ancestry.com, Year: 1910; Census Place: Big Springs, Union, South Dakota; Roll: T624_1489; Page: 3A; Enumeration District: 424; Image: 429. [S243] U.S. Federal Census 1920 U.S. Federal Census, by Ancestry.com, Year: 1920;Census Place: Scotland, Bon Homme, South Dakota; Roll T625_1714; Page: 4A; Enumeration District: 17; Image: 456. Harlich K. Kohlmeyer was born on 27 August 1921 at Wisconsin. He was the son of Herman Henry Kohlmeyer and Hulda L. Meyer. Harlich K. Kohlmeyer married Opal Emma Baumbach, daughter of Adolph Julius Baumbach and Meta Anna Ida Friede, on 9 November 1946. Harlich K. Kohlmeyer died on 3 January 2008 at age 86 Harlich "Harley" Kohlmeyer of Baraboo passed away on Thursday, Jan. 3, 2008 at St. Clare Hospital at the age of 86. Harley was born on Aug. 27, 1921 in Loganville to Herman and Hulda (Meyer) Kohlmeyer. He married Opal Baumbach on Nov. 9, 1946 at St. John's Lutheran Church. He was a dairy farmer all his life until he retired in 1985. He enjoyed bowling, tractor pulling, deer hunting and fishing. Harley was a member of St. John's Lutheran Church and was also a member of the Bowling Association. He is survived by, his wife, Opal of Baraboo; four children, Sandra (Steven) Cohoon of Baraboo, Kenneth (Theresa) Kohlmeyer of Reedsburg, Keith (fianc Tammy Harjung) of Baraboo, Linda (fianc Bill Searls) Kohlmeyer of Sun Prairie; three grandchildren, Jennifer, Katie, Matthew; sister-in-law, Darlene Kohlmeyer of Illinois; nieces, nephews, other relatives and many friends. He was preceded in death by his parents; one sister, Erna (Gerhard) Vater; one brother, William Kohlmeyer and his nephew, Fred Vater. Funeral Services will be held on Monday, Jan. 7, 2008 at 11 a.m. at St. John's Lutheran Church in Baraboo with Pastor Thomas Fricke officiating. Burial will be in the Oak Hill Cemetery in North Freedom. Friends may call on Sunday, Jan. 6, 2008 from 1 p.m. to 4 p.m. at the Redlin Funeral Home, 401 Madison Ave. in Baraboo and at the church on Monday from 10 a.m. until the time of services. Memorials may be made to St. John's Lutheran Church or to the American Heart Association. Harlich K. Kohlmeyer obtained US Social Security Card at Wisconsin; last residence Baraboo, Sauk, Wisconsin. He and Opal Emma Baumbach lived in 2007 at S5302 Mine Rd, Baraboo, Sauk, Wisconsin. [S250] U.S. Federal Census 1930 U.S. Federal Census, by Ancestry.com, ED39. Dwelling 78. Herman Henry Kohlmeyer was born on 4 July 1891 at Westfield, Sauk, Wisconsin, also reported as 03 Jul 1891 or Jul 1892. He was the son of William Ernst Kohlmeyer and Katherine Dorothea Burmester. Herman Henry Kohlmeyer married Hulda L. Meyer, daughter of Frederick Meyer and Catherine Hennings, circa 1919. Herman Henry Kohlmeyer died on 10 August 1987 at age 96. [S245] U.S. Federal Census 1900 U.S. Federal Census, by Ancestry.com, ED149. Dwelling 11. [S364] Wisconsin State Census Wisconsin State Censuses, 1895 and 1905, by Ancestry.com, Dwelling 172. [S244] U.S. Federal Census 1910 U.S. Federal Census, by Ancestry.com, ED130. Dwelling 63. [S243] U.S. Federal Census 1920 U.S. Federal Census, by Ancestry.com, ED171. Dwelling 192. Married Name circa 1919 As of circa 1919,her married name was Kohlmeyer. Hulda L. Meyer was born on 16 June 1895 at Wisconsin also reported as Jun 1894; also reported as Minnesota. She was the daughter of Frederick Meyer and Catherine Hennings. Hulda L. Meyer married Herman Henry Kohlmeyer, son of William Ernst Kohlmeyer and Katherine Dorothea Burmester, circa 1919. Hulda L. Meyer died on 21 July 1963 at age 68. Married Name Her married name was Vater. Erna D. Kohlmeyer married Gerhard G. Vater. Erna D. Kohlmeyer was born on 19 April 1920 at Wisconsin. She was the daughter of Herman Henry Kohlmeyer and Hulda L. Meyer. Erna D. Kohlmeyer died on 7 April 1996 at age 75. William E. Kohlmeyer was born on 19 December 1926 at Wisconsin. William E. Kohlmeyer died on 23 August 1998 at age 71. Jeanette A. Felske was born on 19 July 1926 at Reedsburg, Sauk, Wisconsin. She was the daughter of Ralph Herman Felske and Ruby May Greenwood. Jeanette A. Felske married Edward Frederick Schrank, son of Frederick Edward Schrank and Lucinda Pauline Caroline Grotelueschen, on 12 July 1946. Jeanette A. Felske died on 15 March 2010 at age 83 Jeanette A. Schrank, age 83, of Reedsburg died Monday, March 15, 2010 in Portage. She was born on July 19, 1926 in Reedsburg, WI, the daughter of Ralph and Ruby (Greenwood) Felske. On July 12, 1946 she was united in marriage to Edward F. Schrank at St. Peter’s Lutheran Church in Reedsburg. This marriage was blessed with four children. Jeanette was a faithful member of St. Peter’s Ev. Lutheran Church, the Ladies Aid and Bible Study. She served in the health care field as a nursing assistant caring for others. She enjoyed sewing, traveling on the Able Trek bus tours, and taking many trips with her husband. She was preceded in death by her parents; husband, Edward on August 13, 1991; daughter, Mary Ann Piepenburg; and a sister, LaVonna Giese. Nieces, nephews, and other relatives and friends. 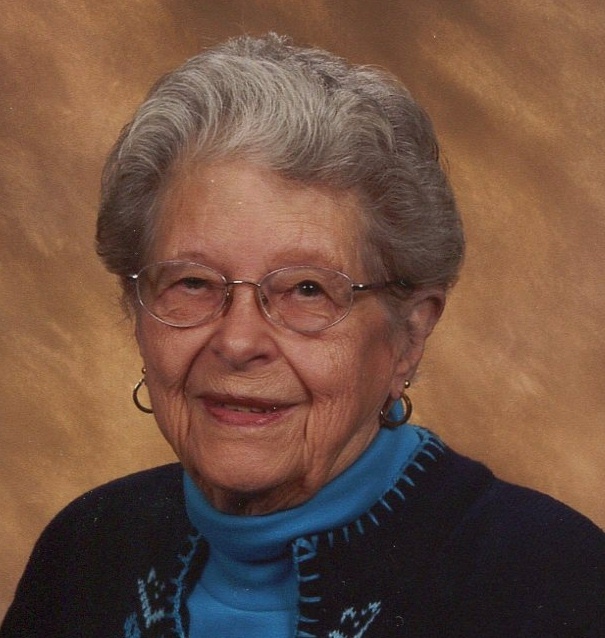 Funeral services for Jeanette Schrank will be conducted at 11:00 A.M., Friday, March 19, 2010 at the Farber Funeral Home in Reedsburg with Pastor Paul Crolius officiating. Burial will follow in St. Peter’s Cemetery in Reedsburg. Friends may call on Friday from 10:00 A.M. until the time of the service. 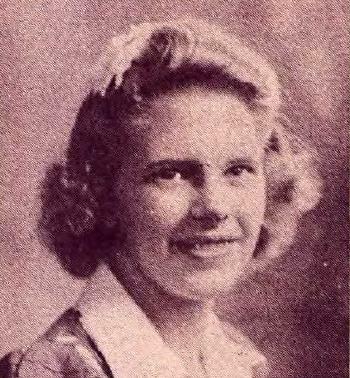 Jeanette A. Felske graduated in 1944 at Reedsburg High School, Reedsburg, Sauk, Wisconsin. Edna Dillman was born in July 1879 at Illinois. She was the daughter of James Huckstep Dillman and Mary A. Morris. Dottie Dillman was born in December 1882 at Illinois. Lydia Dillman was born circa 1874 at Illinois.